Montreal, Canada and Mountain View, CA – June 29, 2017 – Exostatic, a leading data driven consultancy and Treasure Data, the leading Live Customer Data Platform, announced its successful partnership enabling companies to understand their users and drive personalized experiences through a modern, data driven solution. The Exostatic and Treasure Data solution provides organizations with full visibility into each customer touchpoint to drive greater ROI for the organization and a better overall experience for the end customer. With numerous joint customers including Mattel and Survios, the #1 Virtual Reality game publishers Exostatic and Treasure Data have a growing number of enthusiastic customers. Treasure Data, Exostatic and Survios will be hosting a joint webinar on “Why your VR game is virtually useless without data” on July 19, 2017. To learn more, please register for the webinar by clicking here. 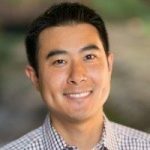 Stephen Lee leads Partnerships and Fluentd Enterprise Edition at Treasure Data. A reformed VC, Stephen spends his free time drinking wine and cheering his California Golden Bears.